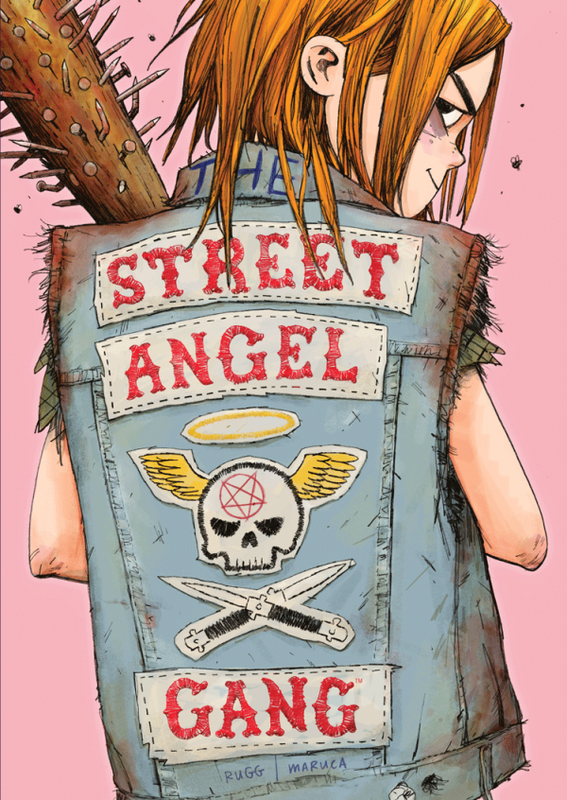 This is splendid-looking, as is a lot of what Jim Rugg does -- particularly with this character. I could find very little in the serial comic book format this time out, but a new BPRD is always welcome by me, and a new Saga is always welcome by comics shops. This was the first Saga I read where I had a hard time remembering some of the narrative through-lines: much more likely a sign of senility on my part than creative decline in the comic book. 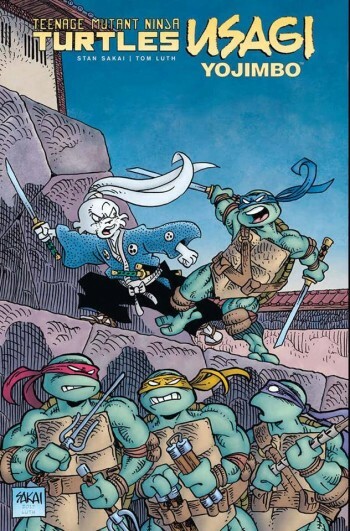 I will buy every thing that Stan Sakai makes. I extend this same courtesy to another natural cartoonist, Sergio Aragones, so I'll be picking up at least one variant cover book this week if I can help it. I'm not interest in the book, or cheating, but there are illustrations here by the popular proto-comics humor columnist Scott Shaw!. It's been a while since I've seen a lot of his work in one place, so I'd pick up this book in a shop for sure. This is K. Thor Jensen's one-man anthology cycling around the idea of "clouds." Jensen was the youngest member of the Seattle cartooning scene of the 1990s and only rarely releases material so having a full book is great. That's another 16 pages of Henry and Glenn material in the latest collection, followed by the latest in the I'm-guessing past-the-crest coloring book trend. I bet a significant percentage of people have tried to color at least one page of one of those books, even if, like me, they're not really coloring people. This is the companion to Jonathan Coulton's new albums, bringing to it the talents of Matt Fraction and Albert Monteys. That makes it the highest curiosity book of the week for those of us lucky to go to stores that carry it. Three scholarly books priced for academia. The first one is probably the most interesting, another John Lent exploration of non-Japanese Asian comics. Lent owns that subject matter in English to the point I'm pretty sure he could make up artists and not get called on it for a few years. It's also one of the last areas of comics where I think there are major discovers yet to be made. This should be interesting because Shooter's interviews frequently serve a political purpose according to his position on an issue of the time. There's also a wide range of interviews stretching back to his boy-wonder days. Great choice for a volume from this series, although the content may thwart that appraisal. Happy 100th to the King. We're not talking about him enough this month. I'm happy for every comics biography even when they aren't likely as grand or insightful as work by people like Patrick Rosenkranz and Bill Schelly because I fear a lot of mainstream work is about to fall off a cliff interest-wise, particularly interest in those artists not linked directly to a currently popular super-character. A lot of these artists weren't very well served by coverage at the time they were important figures or immediately after -- Wally Wood's TCJ obit, for example, was 1-2 pages long instead of the 15 it might have been a dozen years later. That price point says fans-only + art book, but it's still nice to have around. I don't cover manga very well because I don't read nearly enough of it. 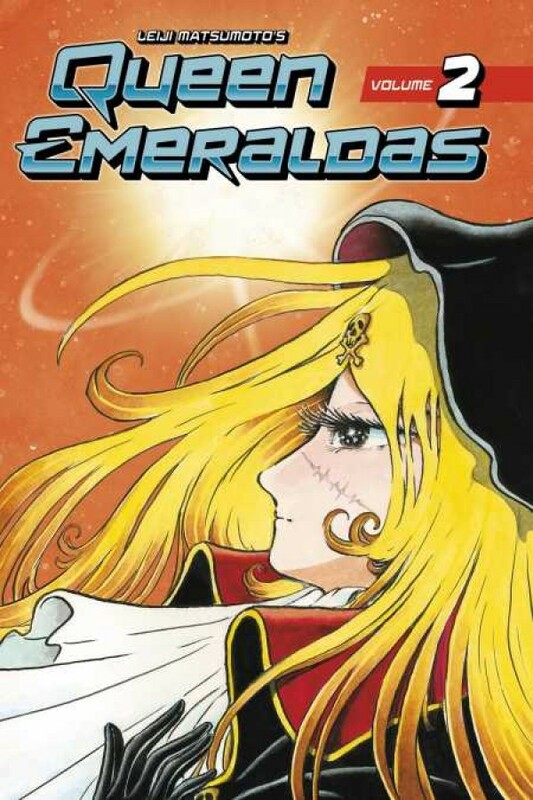 I know without reading this specific volume that it's worth picking up because of what seems like so little Leiji Matsumoto available in an easy way to the general public. I hope I remembered to cite the first volume in this column, but probably didn't.